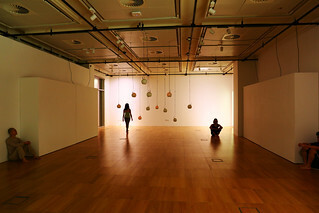 is a spin off of an earlier piece called MICRO. 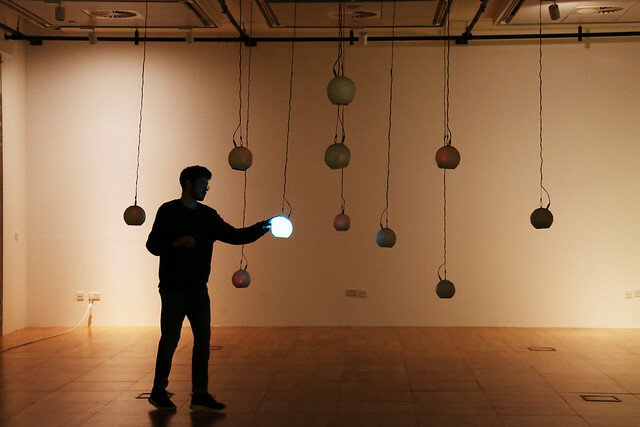 Named for the chemical element sodium, which contains 11 electrons, this installation has 11 spheres for people to play with. 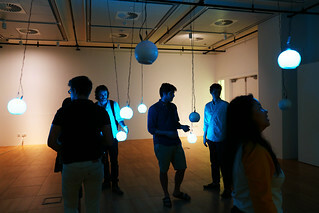 Each sphere is interactive and emits sound and light when touched. 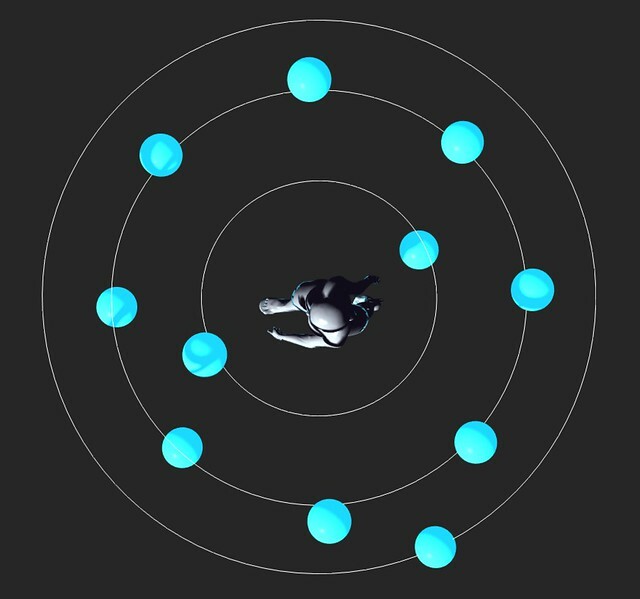 Na has completely new music composed for it, each sphere having it's own individual sound. 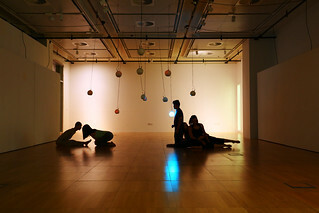 Each ball also has the same color, illustrating the element's homogeneity. 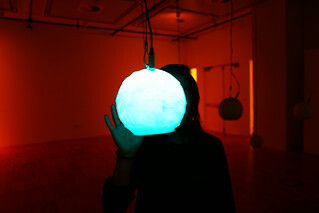 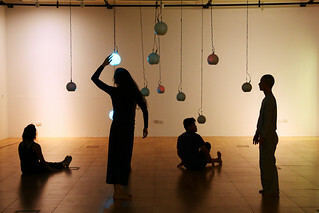 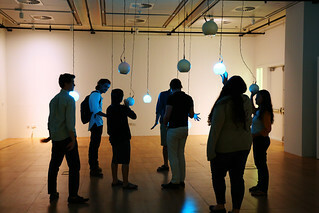 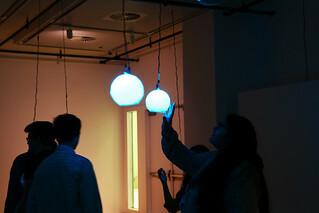 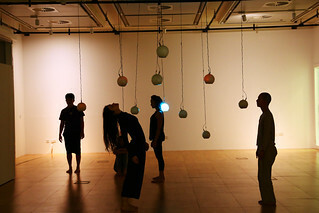 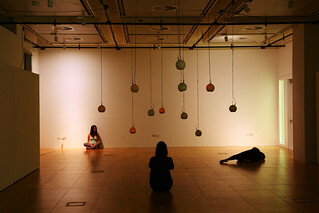 Sodium was exhibited at NYU Abu Dhabi's Project Space, where, in addition to the exhibition, a performance/workshop with students and the piece took place.